Wheel Shield Wax is an ultra-protective alloy wheel coating which has been developed to offer ultimate protection (up to 6 months) from brake dust, UV radiation, dirt and grime. The handcrafted wax coating seals the painted or polished metal finish of the alloy wheel, while adding depth and clarity from the highly protective coating. 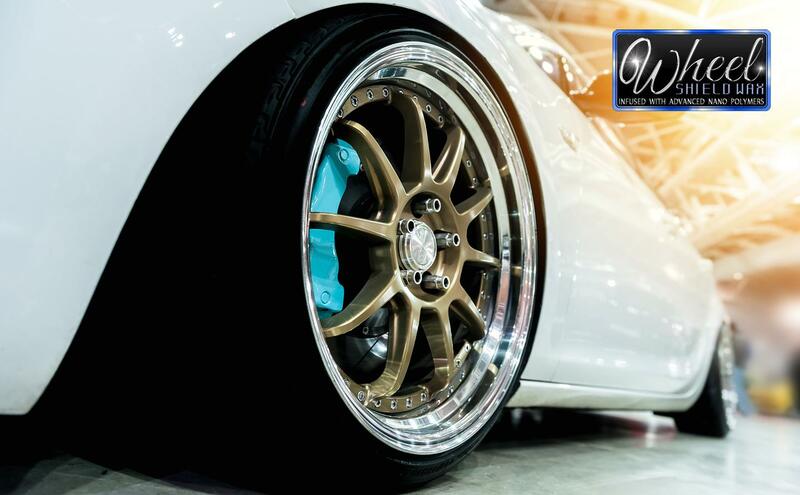 Wheel Shield Wax is developed to create the most durable high gloss finish for all alloy wheel finishes, such as painted, powder coated, polished metal and diamond cut. The formulation protects the wheel finish from numerous contamination and filters out harmful UV radiation from the wheel finish which would cause fading and discolouration if not protected against. The handcrafted wax is infused with advanced nanopolymers which create an ultra durable protective wax coating which will last for up to 6 months, making future cleaning even easier as it forms a clear protective shield coating which prevents brake dust and road soils from embedding into the wheel surface. Wheel Shield Wax should be used to add a protective finish to the surface of wheels. Wash your wheels ensuring that all dirt is removed from the wheels surface before applying the wax. Do not use the Wheel Shield Wax on contaminated, or dirty wheels. Once the area to be coated is clean, shake the bottle well and apply to an applicator. Work the Wheel Shield Wax into the finish of the wheel using overlapping strokes to ensure complete coverage. Once applied allow to dry and haze for about twenty minutes before buffing and removing the residue of the Wax with a microfibre cloth.